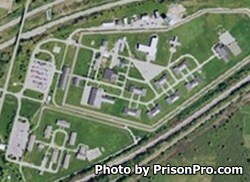 Lakeview Shock Incarceration Correctional Facility is located in Brocton New York, part of Chautauqua County. It is a minimum security prison that houses both males and females. To qualify for this facility inmates must be incarcerated for non-violent crimes. The current capacity of Lakeview Shock Incarceration Correctional Facility is 540 males and 109 females. While incarcerated inmates can receive alcohol/substance abuse treatment and participate in Alcoholics/Narcotics Anonymous meetings held at the institution. Lakeview Shock Incarceration Correctional Facility gets it's name from the boot-camp like nature of the facility, that is meant to shock an offender into changing poor behavioral patterns. Inmates at this facility can participate in vocational studies that include building and custodial maintenance, floor coverings, horticulture, upholstery, and computers. Visiting is on Saturdays and Sundays from 9am-3pm, processing of visitors ends at 2:30pm. The SHU has visitation on Saturdays from 9am-3pm, processing ends at 2:30pm. S-Block has visits from 5pm-9pm on Saturdays, visitor processing ends at 8:30pm. Inmates in the shock program can have a single visit every two weeks. Visits are limited to three adults and two children small enough to sit on a lap.